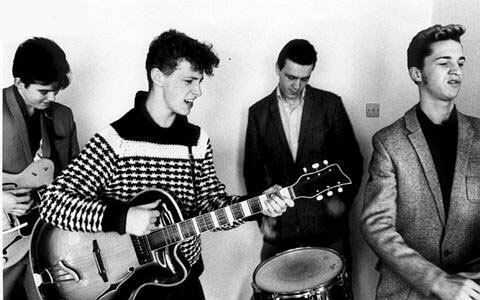 Groupe Rockabilly Anglais formé en 1977 au Nord de Londres et composé de Tim "Polecat" Worman, Martin "Boz" Boorer, Phil Bloomberg et Chris Hawkes. À l'origine le groupe jouait sous le nom de Cult Heroes. Plus tard, Chris Hawkes est remplacé par Neil Roney, lui-même remplacé par John Buck. 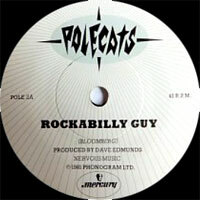 Equally bequiffed but more heavily made-up than their contemporaries, the Polecats were one of the more successful bands involved in the early 80s UK rockabilly revival. Martin ‘Boz’ Boorer (guitar) and Tim ‘Polecat’ Worman (guitar/Vocalss) first played together while still at school in the mid-70s. 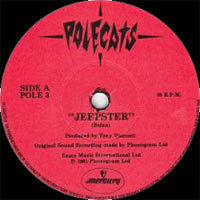 They were joined in the earliest Polecats line-up by Phil Bloomberg (double bass) and Chris Hawkes (drums), performing at their local church hall in September 1978. 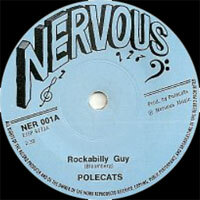 Bloomberg played bass and drums on their earliest recordings, which led to the first release on the Nervous label which would later release more rockabilly both past and present. ‘Chicken Shack’ proved strong enough to attract the attention of Mercury Records who put the band, now with new drummer Neil Rooney, under the production auspices of Dave Edmunds. 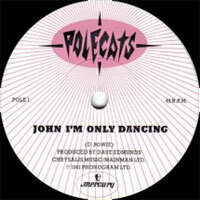 The first single for the label was a cover version of David Bowie’s ‘John I’m Only Dancing’ which made the UK Top 40 in early 1981 and was followed up with a re-recording of ‘Rockabilly Guy’ (the b-side to ‘Chicken Shack’) which was also a Top 40 hit. For their third Mercury single they covered Marc Bolan’s ‘Jeepster’, helped out by the song’s original producer Tony Visconti. Boorer was a Bolan devotee, taking his hero’s place in later re-formations of John’s Children which he helped instigate. 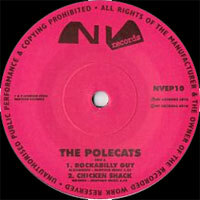 The Polecats’ debut album also charted briefly but the rockabilly surge was fading and neither the 1983 Edward’s produced mini-album Make A Circuit With Me, nor its title track, lifted as a single, made the charts. The following year the band, with John Buck replacing Rooney, were back recording for Nervous where they released Cult Heroes. Boorer, Worman, Bloomberg and Buck reunited in the late 80s to record a new album for the Vinyl Japan label. The quartet continues to work together on a regular basis, touring Japan and recording new studio albums. Away from the Polecats, Boorer spent most of the 90s as Morrissey’s post-Johnny Marr musical collaborator, while Worman formed 13 Cats with Slim Jim Phantom (ex-Stray Cats).